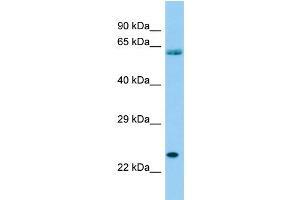 Characteristics This is a rabbit polyclonal antibody against SPCS3. It was validated on Western Blot. Background SPCS3 is a component of the microsomal signal peptidase complex which removes signal peptides from nascent proteins as they are translocated into the lumen of the endoplasmic reticulum.